For 2018, we organized a daily high class tribute live show, making your festival feel perfectly! 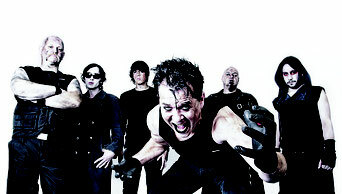 STAHLZEIT is probably the most spectacular Rammstein tribute show in the world! If you like fire shows or singer (Heli Reißenweber) who plays the Lindemann-thing perfectly - you are not gonna be disappointed and of course there is reason why they fill up several concert halls. "Mein Teil", "Engel" and all the legendary hits of Rammstein will be performed in a way, that might let you feel that real Rammstein feeling, which is so unique and powerful. Playing legendary songs like "Highway To Hell", "Back In Black" or "Thunderstuck" has become a life task for the pro musicians from BAROCK! They perform AC/DC with all its details - Angus Young's godlike solos and the typical, perfect show of the australian original combo. 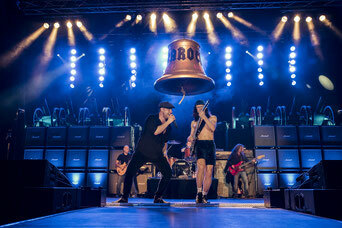 They promise you the perfect AC/DC experience! Just a week before Lemmy Kilmister died, Hans Haberkörn celebrated his birthday and decided to found a Motörhead Tribute Band with his fellow Martin Jäger. Since 2016 they deliver the perfect Motörhead Show for the mourning fans, who still remember the one and only rock'n'roller in history. It does not matter, if you liked "Killed By Death" or "Ace Of Spaces" - all the songs are on board and after their impressive show at RockFels 2017, we feel glad to welcome MOTÖRHAZE back on our stage!